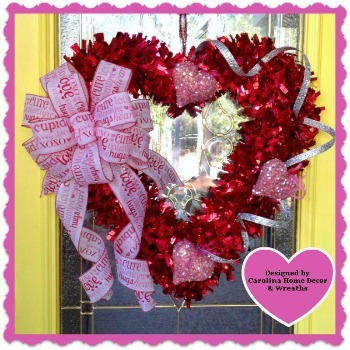 Beautiful 24" Valentine's Day Grapevine Wreath "Hearts on Fire" features a Large Wired Bow & Tails in Red edged in white with White Hearts interlinked. Red Delphiniums and Baby Ivy bring this Wreath to Life. 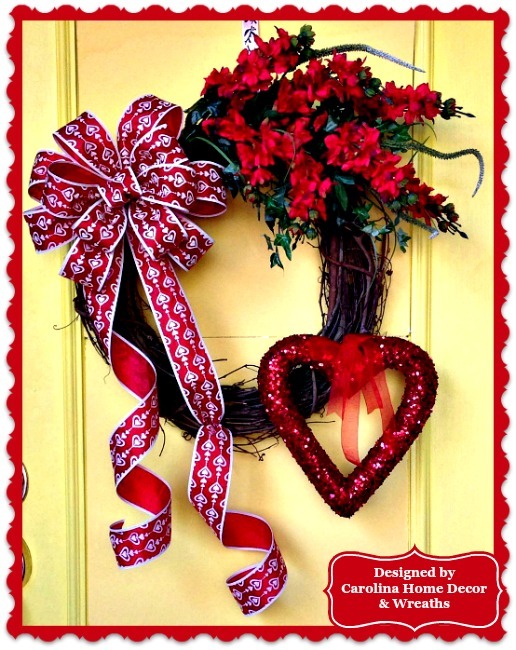 Large Red Sequined Heart adds the Finishing Touch to this Gorgeous Wreath. Sprayed with Protectant for Outdoor Use. Pictures do NOT do it Justice!